Dogs are so cute and affectionate that it can be easy to overlook their not-so-adorable qualities. Many of them like to chew things they shouldn’t, others make a lot of racket, and most leave behind hair, dander, and a scent that’s uniquely their own. Most dog owners are so crazy about their furry friends that they scarcely care about the dog residue and odors, but visitors can’t help but notice. 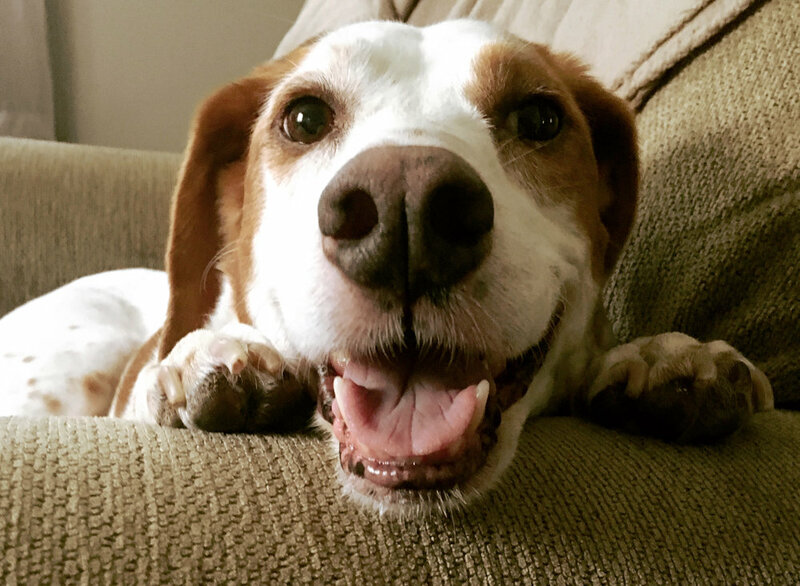 You can help keep Rover’s mess under control with inexpensive homemade cleaning products, good grooming habits, and some simple steps to help make your household doggie friendly. Here are some tips to get you started. Nothing absorbs dog odor quite like fabrics, particularly upholstered furniture and carpeting. There are several cost-effective approaches that work quite well, and many involve natural substances. Sprinkle some baking soda on your rugs, carpeting, and upholstery, let it sit for a half-hour, vacuum, and you’ll be cleaning and deodorizing at the same time. If you have small rugs or carpet runners, give them a good shaking and leave them outdoors for a couple hours so they get a good airing out. Toss rugs that are machine washable in the washer or give them a good spray with fabric softener and water and let them dry outside. Sometimes, the most obvious solutions are the easiest to overlook. One of the best ways to keep dog messes under control is to control the mess on your dog. Give your pet a good brushing to help keep all that shedding hair from collecting in clumps on and under the furniture, in the corners of every room, and on the carpet. Brushing collects all that dead fur and dander underneath, which can be so harmful to people with asthma and other breathing problems. The older fur also tends to be the smelliest, so regular brushing is an effective way to mitigate the presence of dog smell. You can also help keep your pet’s ears clean (and less smelly) with a liquid ear wash. Many dog owners let their pets sleep on the furniture or curl up with them in bed, which leaves behind hair and dander and only adds to your cleaning burden. Giving a dog a space where he can sleep or retreat to when things get chaotic in the house is good for your pooch and keeps hair from building up where it’s not wanted. It’s also a good way to keep your dog from spreading his canine funk to the bedroom and the furniture. Better yet, consider buying your dog a bed of his own so he spends less time relaxing on yours. The sign of a true dog lover is one who’s willing to purchase furniture because it’s made of material that won’t be harmed by a lounging dog. You’ll have to forego buying that loveseat made of Tahitian cotton for one made of a synthetic fiber, but don’t worry: There are plenty of styles made of synthetic, dog-proof material -- such as ultrasuede or microfiber -- that will look great in your home. You don’t have to replace all your furniture, but keep dog hair and dander control in mind the next time you’re out furniture shopping. Cleaning up after your dog is a full-time job that requires planning and vigilance. Emphasize natural, budget-friendly products like baking soda and vinegar when cleaning and deodorizing, brush regularly, and set up your living space in a way that can best accommodate both humans and furry friends.